Purple copper wire mesh adopts purple copper wire to weave. 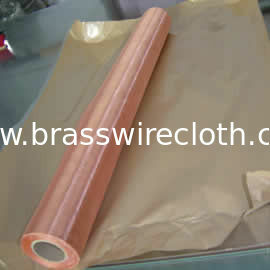 It is also called red copper wire cloth, pure copper mesh sheet and shielding mesh. 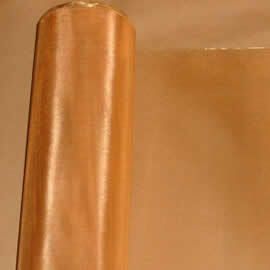 This type copper mesh has the advantages of close structure, high intensity, good wear-resistance and high durability. Our factory manufactures purple copper wire meshes of different specifications, which are applied to a wide range of industries, such as printing, mining, petroleum, machine building, chemical, rubber,plastics, food and pharmacy. 1. Weaving forms: plain weaving, twill weaving, microgroove-plain weaving-twill weaving, satin weaving, formatted with a lot of burs. 2. Performance: good resistance to rubbing, no magnetism, strong expanding property. 3. Length: 5m - 400m. 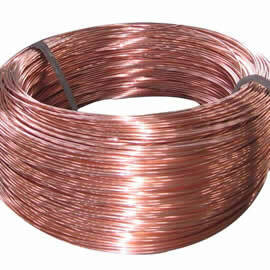 We also supply purple copper wire called red copper wire. Its features include excellent performance of the cold plastic, flexible, high strength. Purple copper wire is usually used for glasses accessories, rivets, battery core rod, fasteners, springs, solder and wire type, wire-cutting line. 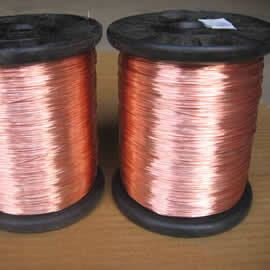 Wire diameter: 0.01mm - 9.00 mm. Packing: on spool or in coil, 0.035g-80g/spool, 50g-100g/coil.